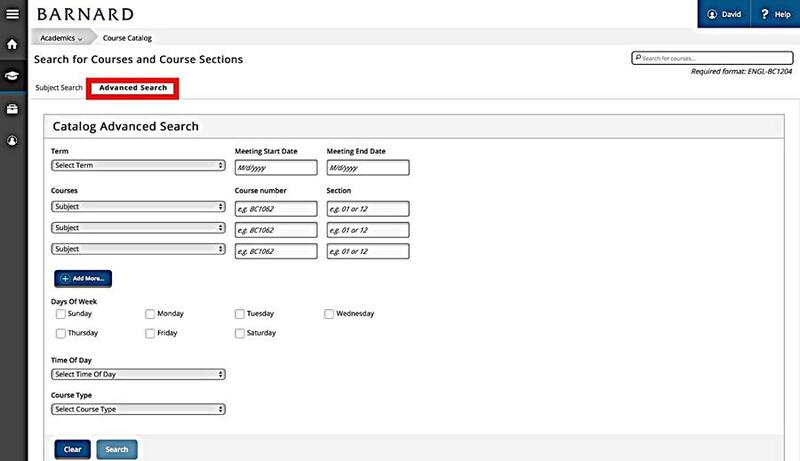 Course Catalog Advanced Search function added to Student Planning! We have received inquiries from some of you about certain Columbia courses that do not appear in Student Planning. We expect to have an updated course listing available in Student Planning at the end of this week. In the meantime, you can refer to the CU Directory of Classes for the most up-to-date information on their courses. If you have additional questions, please reach out to us at registrar@barnard.edu. Last weekend's launch of the updated Student Planning program now provides Advisers with some new functions they've been requesting to better assist in their efforts to advise students. One of the main improvements is the addition of an Advanced Search function within the Course Catalog. This new search function makes it much easier to work with your advisees on identifying courses that both fit within their schedule and meet their academic requirements. Just as a reminder, you can now access the Course Catalog through the Student Planning main page. After clicking on the Course Catalog from the home screen you’ll be given two options for how to search for courses: Subject Search and Advanced Search. 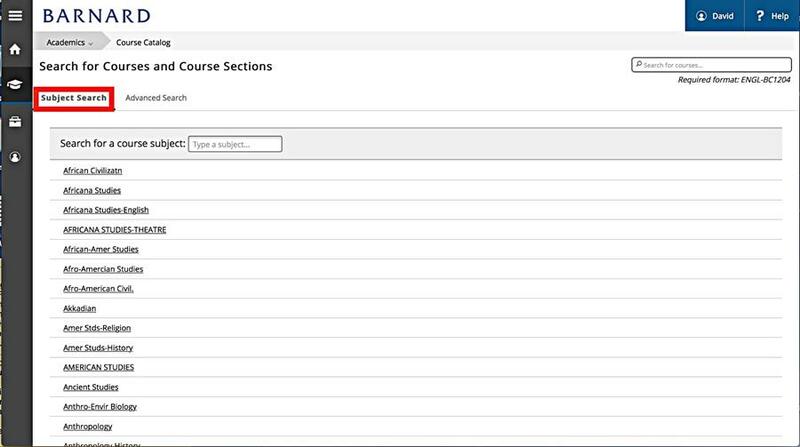 With Subject Search, you click on a subject to see list of all the courses offered under that subject, and can then add filters like "Term: Spring 2018." With Advanced Search, though, you can filter the courses to your exact preferences at the outset. You can filter by semester, one or more course subjects, what days the course is on, time of day, and course type (which refers to the Foundations or Nine Ways of Knowing requirement a course fulfills). It's just that easy. The updated "Instruction Manual for Advising & Registration" is now available on the myBarnard home page. There are still a few screenshots to be added after registration opens, but the updated Manual explains all the new functions that have been added to Student Planning. The Spring 2018 advising period runs through Friday, Nov. 10 (though if you can't see all of your advisees by Nov. 10, it's okay as long as they meet with you and obtain your permission to register before their first online registration time). Make certain during your advising sessions to grant your advisees “Permission to Register” in WebAdvisor[see instruction manual for directions and screenshots if needed]. Remember, you/students lose Monday and Tuesday, Nov. 6-7 because of Election Day Recess. Students register online via myBarnard/Student Planning. Remember that students are assigned registration appointments that are based, in part, on seniority, so if possible, meet with juniors and seniors first, then begin advising sophomores and first-years. The online registration times are: seniors, Nov. 13-17; juniors, Nov. 14-17; sophomores, Nov. 15-17; and first-years, Nov. 16-17. Deadline for students to elect P/D/Fail AND/OR to withdraw from a course (although a "W" will appear on their transcript). Reminder: students are not permitted to drop below 12 credits.